Born and raised in Lebanon, Rania Matar, the keynote speaker for the First Year Experience (FYE), shared key insights into the intersection of art, culture, womanhood and politics. Held in Zankel Music Center on Sept. 10th, the event was mainly attended by first-years and a number of faculty. As an award-winning photographer and 2018 Guggenheim fellow, Matar has her work displayed internationally in Germany, Sweden and many other places. 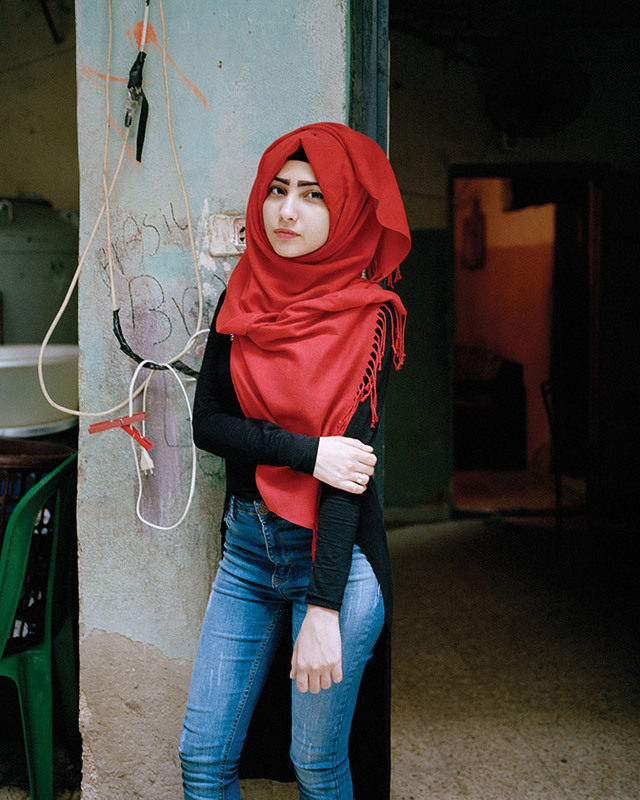 Her photography, almost exclusively focused on women, provides a unique perspective to the lives of teenage girls in a variety of places, including Lebanon and the US. Matar’s work mirrors and compliments the first year summer reading, Mohsin Hamid’s Exit West, with its nuanced approach in depicting the diverse lived experiences of refugees. Their artistic backgrounds — her photography and his fiction — emphasize a concrete reality of refugees. One that depicts their unique struggles, aside the everyday mundane problems they experience as well. This nuanced analysis is refreshing, compared to recent media depictions of refugees and immigrants as a purely political “issues”. Both Matar and Hamid see refugees as multidimensional individuals, each affected emotionally, physically and socially in distinct ways. The concept of a personal journey was also a mutual theme, be it either the magical “doors” that transport people across nations in Exit West, or Matar’s photographs that showcase young women’s more grounded and intimate journey to adolescence. Choosing to focus on her work in Becoming, Matar showed pictures of young girls, a couple years apart, discussing the all-too common feelings teenage girls face as they grapple with their bodies’ physical changes. In that sense, Matar’s style is to bridge the gaps she sees in young women’s stories. “Shared humanity is important for me to portray,” she explained to the audience. Samira, five years later, is almost unidentifiable. The event concluded with a Q&A session with the speaker that moved the conversation further into refugees and their agency in Matar’s photography. One student asked Matar what her approach to interacting and asking permission from her photographic subjects was. She replied by discussing how the process is collaborative at heart, and that these girls help her shape the work. It’s also important to point out that Matar delivered the lecture under some technical difficulties. There was an issue with the projector not displaying photos properly, and a lack of mics in order for the audience to participate in the conversation. This made the lecture seem a bit disorganized. These technical issues, however, did not take away from the potency of her talk. The lecture, From personal to Universal: An Artist’s response to humanitarian crisis, offered a great introduction to the incoming class about the importance of learning outside the classroom. Her lecture offered intriguing glimpses, especially to refugee women, in a constructive and intersectional manner.